Bank M&A: Dead, Dying, or Becoming Something Different? This week, I’ve worked with our team to put the finishing touches on Bank Director’s agenda for our 20th annual Acquire or Be Acquired Conference. 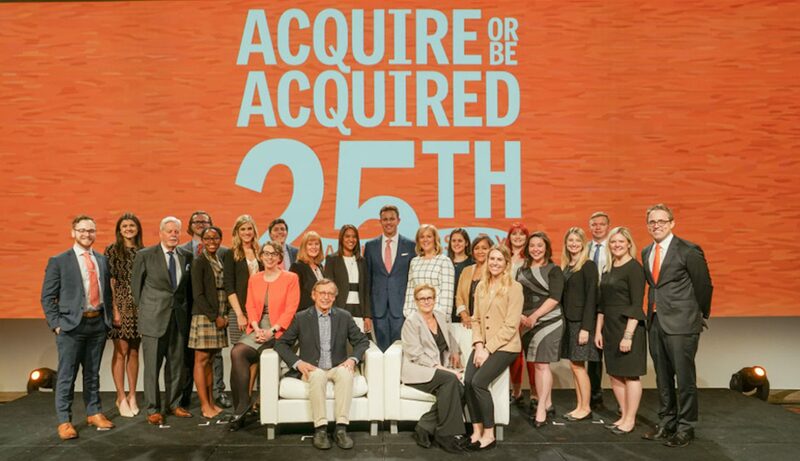 Widely regarded as the financial industry’s premier M&A event, the conference affectionately referred to as “AOBA” attracts bank CEOs, CFOs, Chairmen and outside directors from across the country to Arizona each January. I keep hearing about the various drivers to doing a deal today — think economics, the burden of government regulation and increasing cost of capital. As industry and economic headwinds challenge banks both large and small, I can think of no better perspective on what’s going on than that from my friend, colleague and Editor of Bank Director magazine, Jack Milligan. While I typically share three of my thoughts on About That Ratio each Friday, Jack graciously agreed to author today’s column and share his. Enjoy! I have written about commercial banks since the mid-1980s and during that time have witnessed three banking crises (the thrift crisis in the late ‘80s soon followed by the commercial real estate crisis in the 1990s and, of course, the global financial crisis that occurred in 2007 and 2008), saw the U.S. Congress pass landmark banking legislation like the Gramm-Leach-Bliley Act of 1999 and Dodd-Frank Act of 2010, reflected upon the death of one regulatory agency (Office of Thrift Supervision) and birth of another (Consumer Financial Protection Bureau), and observed a parade of kings like Walt Wriston, Hugh McColl and Sandy Weill come and go. But the most significant thing I’ve watched happen during all that time has been the industry’s profound consolidation into an hourglass distribution where a small number of very large banks control a significant majority of the nation’s deposits, and a very large number of very small banks fight for what’s left. This trend of consolidation coincidentally also began in earnest in the 1980s – and in fact the first banking story I ever wrote was about (if memory serves) post-merger integration. We just dipped below 7,000 banks in the United States (6,891 to be exact according to the FDIC), which seems like a good time to reflect on the question of how much more consolidation will occur. We all know that bank merger activity has dropped precipitously since the global financial crisis, and we all know why. In the maelstrom of the worst economic downturn since the Great Depression, in which the industry’s asset quality looked like it had been riddled by a machine gun, only a few large banks had the financial strength and appetite to acquire another institution, often with some form of government assistance. Normal M&A was for all practical purposes dead. Since the crisis has abated and the U.S. economy has gradually stabilized, some level of M&A has returned – but certainly not to pre-crisis levels. Last year there were 129 healthy bank acquisitions for a total of $11.9 billion, and the deal total and aggregate dollar value for 2013 might be even lower. In 2007 there were 235 bank deals for a total value of $71 billion. But even those numbers pale in comparison to the halcyon days of late 1990s, when the average annual deal flow was twice that and aggregate values were in the hundreds of billions of dollars. Many banks, buyers and sellers alike, have been waiting for the M&A market to kick back in – but to what? To the 2007 level? Or to something closer to 1998, when there were 475 bank deals? It is theoretically possible that the M&A market will never revive and the industry won’t consolidate much more than it already has. In a recent piece in the American Banker, financial writer and researcher Harvey Winters reasons, correctly, that there are many small banks in rural locales like Nebraska that aren’t attractive takeover candidates and won’t ever be consolidated. Winters says there might never be an M&A spring so-to-speak in such isolated and (from the perspective of an acquirer) unattractive markets. The country’s very large banks that are still under the nationwide deposit cap and theoretically could grow larger through acquisitions are also being waved off by their regulators who today are much more concerned about the systemic risk that very large banks pose to the financial system than they were before the crisis. In the good old days, large aggressive acquirers that were assembling nationwide banking franchises just as fast as they could helped drive the rest of the M&A market. But those buyers are all gone, at least for now. My own view is that bank M&A (and therefore consolidation) isn’t dead, but it is becoming something different. I think we’ll see the rise of middle-market consolidators that have the capital and the skills to assemble their own intrastate, and later regional, franchises. A perfect example is Richmond, Virginia-based Union First Market Bancshares’ recent acquisition of Charlottesville, Virginia-based StellarOne Corp. Union First had $4 billion in assets and StellarOne $3 billion, and the combined $7-billion asset institution now bills itself as the largest community bank in Virginia — which is to say the largest bank that isn’t named Bank of America, Wells Fargo, etc. The new First Union may continue to consolidate the Virginia market, or perhaps venture into neighboring Maryland or North Carolina, or maybe do all three. If I am correct, we will eventually see the emergence of a new tier of banks in the $10 billion to $50 billion range that will consolidate attractive banking markets like Virginia and help drive consolidation into yet another phase. There are many small banks that will never attract a buyer, and a handful mega-banks that will never do another acquisition, but that doesn’t mean that bank consolidation has reached a dead-end. 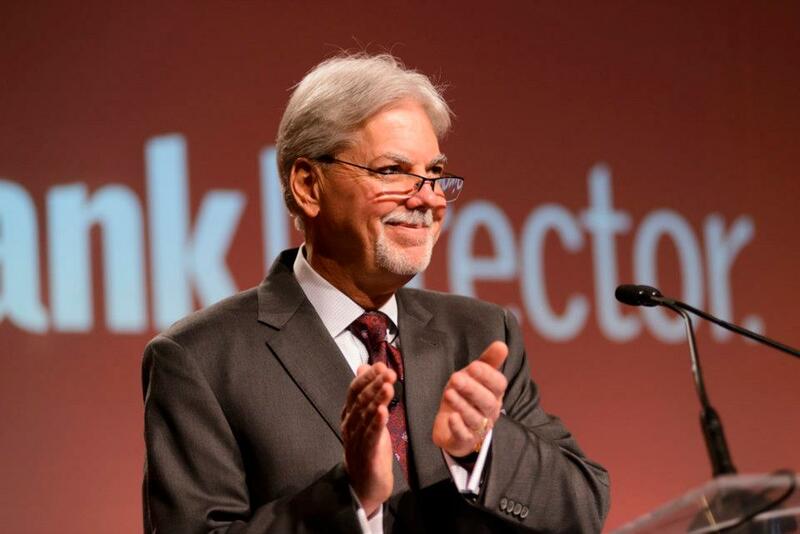 Jack Milligan is the Editor of Bank Director magazine, a position to which he brings over 30 years of experience in financial journalism organizations. Jack’s professional background includes stints as editor in chief of U.S. Banker, a leading magazine covering the banking industry; editor in chief at SNL Financial, a research and publishing company specializing in financial services; and general editor at Institutional Investor, a prominent financial magazine. He’s on Twitter (@BankDirectorEd) and LinkedIn if you want to follow/connect with him. Previous PostPrevious Too Big to Care? Next PostNext Can Banking Be Right-Sized?